Burn off energy and take in the greenery by climbing up to the lookout at the top of Mont-Royal. Its surrounding park is an eden of trails criss-crossing 494 acres. This tour includes a look at Lac des Castor (Beaver Lake), Notre-Dame-des-Neiges Cemetery, and finally, to the Chalet Lookout Grab a snack from the concession stand and inhale the panoramic view of the city and the river. 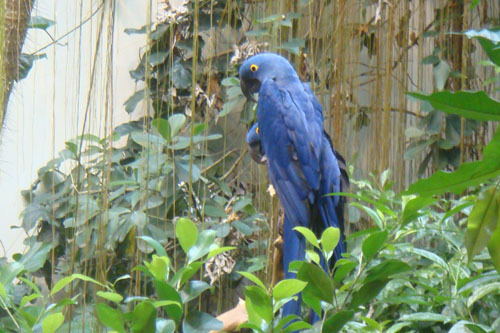 Enter another world exploring the Biodome’s replications of four distinct ecosystems: a tropical rainforest, a Laurentian forest, the St. Lawrence Marine ecosystem, or the polar worlds of the Artic and Antarctic. The more than 6,000 creatures and 4,000 trees and plants ensure the exhibits are never static. From here, you can also take in the nearby Insectarium and the Olympic Stadium (free shuttle service from May-Sept and package rates available). Cloakroom and strollers available free of charge. Pay lockers available. Take the “ick” out of insects by learning about their key ecological role at the Insectarium Wander among 1,500 to 2,000 butterflies at the ever-popular “Butterflies Go Free” exhibition annually from February to . The award-winning “Insect-Tasting” event in November and early December invites the adventurous to dine on expertly cooked, spiced and sauced insects. 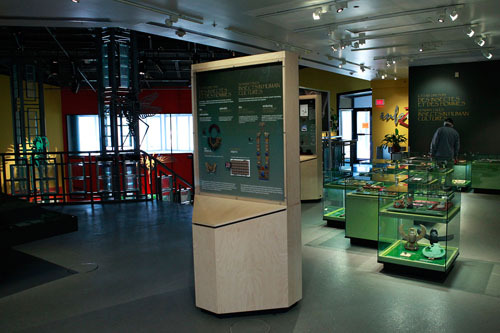 Children are especially fascinated by the permanent displays of more than 3,000 live and mounted critters of all kinds. Grab a surprisingly good lunch at the cafeteria, located beside the greenhouse. From here, take in the nearby Biodome and the Olympic Stadium (free shuttle service from May-Sept and package rates available). Discover the best of Montrealâ€™s food scene on a 3-hour gastronomic tour of Mile End, a historical neighborhood known today for its cafes, pubs and independent restaurants. Follow a local guide to favorite spots like vegan restaurant La PanthÃ¨re Verte (The Green Panther), St-Viateur Bagel and the Cardinal Tea Room. You'll be surprised at how a dozen food and drink samples quickly add up to a filling lunch! 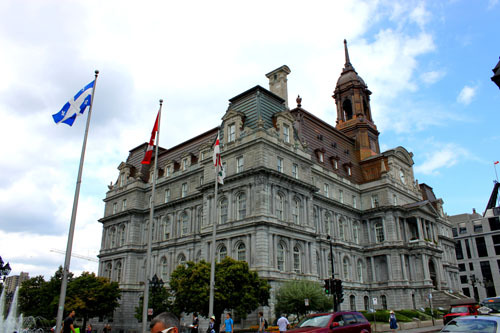 Youâ€™ll also learn a bit about Quebecâ€™s culinary history and see attractions like the Rialto Theatre. Enjoy personalized attention on this small-group tour, limited to 16 people. Your Montreal food tour takes place in Mile End, an artistic hub and home to such writers, artists and musicians as the members of Arcade Fire. Begin at La PanthÃ¨re Verte (The Green Panther), a Mile End vegan restaurant on Rue St Viateur known for its falafel, which is your first tasting of the day. From here, walk with your guide and small group to Boucherie Lawrence, a neighborhood butcher shop that specializes in locally raised meat. Sample some yummy cheeses and charcuterie â€” a selection of pÃ¢tÃ©, sausages and other cured meats. Your next stop is Chocolats Genevieve Grandbois, a chocolate shop featuring only the best. Next, you'll be stopping at the famous St-Viateur Bagel, a local favorite thatâ€™s been serving what Montrealers consider the worldâ€™s best bagels since 1957. Then it's time to digest briefly, while visiting ThÃ©Ã¢tre Rialto (Rialto Theatre), a former cinema that was built in 1924 and was inspired by the Paris Opera House. Hopefully you're hungry again, because next up is some delicious gnocchi at Drogheria Fine. You'll have to try these yourself and see what you think! Your final two stops will satisfy dessert lovers and meat enthusiasts in your group. Eat some local meat and charcuteries at Boucherie Lawrence, and round out your foodie adventure with debatably the best ice cream in the city at Kem Coba ice cream shop. Your tour ends at Kem Coba. Total walking distance is approximately 1.5 miles (2.5 km). 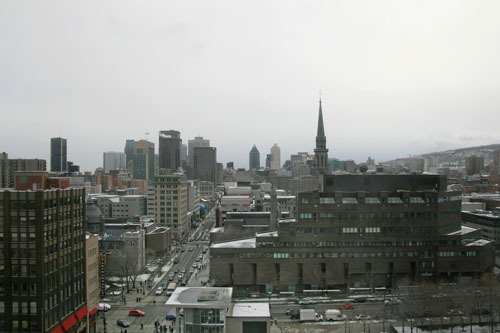 Charming Montreal is actually two cities in one: Thereâ€™s the city everyone knows with its Old World accents, and then thereâ€™s the underground city known as RESO. This 1.5-hour guided tour explores the city's popular above-ground sites and the subterranean city where 500,000 people circulate daily among 2,000 shops, hotels, bars and restaurants. Learn about the engineering behind this underworld as you explore the various nooks below one of Canadaâ€™s most dynamic cities. Meet your guide inside the Tourist Information Center for your afternoon tour of Montrealâ€™s RESO, the worldâ€™s longest underground tunnel network, a multilevel maze of 21 miles (33 km) of walkways, passages and shopping malls. Start off with an above-ground stroll, hitting some of the major sites in Montreal: the bustling Rue Sainte-Catherine, which runs parallel to the largest segment of the underground city; the neo-Gothic Christ Church Cathedral; Les Cours Mont-Royal, an elegant above-ground shopping mall; and Dorchester Square, the leafy late 19th-century plaza. And then itâ€™s time to descend into RESO. The Underground City began in 1962 under Place Ville-Marie and has been developing extensions ever since. The 1.5-hour tour covers a carefully selected portion of RESO (from rÃ©seau, French for â€˜networkâ€™) to show you the highlights of this vast underworld. Learn the history of this engineering marvel from your expert local guide and walk the multi-level passageways learning about the best restaurants, bars and shops beneath Montreal. You remember Robin Hood’s motto - “Steal from the rich and give to the poor?” Well, Robin des Bois with the likeness of Robin Hood and his merry men throughout its décor plays on that… a bit. While it’s not exactly “stealing” – you are, after all, going to have a delicious meal, you’re likely to find that your experience may be a bit different than at traditional restaurants. For instance, with the exception of the gifted chef in the kitchen, the staff at Robin des Bois is made up entirely of volunteers. These are folks that kindly give of their time so that all the money made at the restaurant can be given to those less fortunate; supporting groups such as CACTUS Montreal, Sun Youth and Le Chainon.